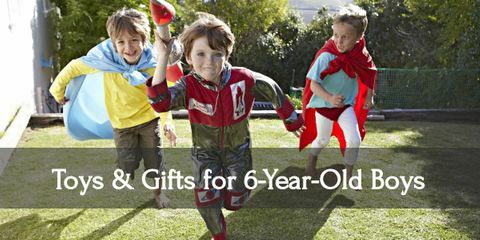 Thinking of what to get for your little guy can be tough. When it comes to the best gift for your boy, of course you want something that will definitely get him happy and excited. 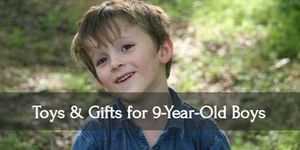 Whether you’re getting a gift for his birthday, for Christmas, or just for a special surprise, knowing what little two-year-old boys like nowadays can help with your gift hunt. Review: Pen and paper can be fun, yes. But drawing on water is a lot more exciting. Plus, mommy and daddy don’t need to worry about cleaning up! 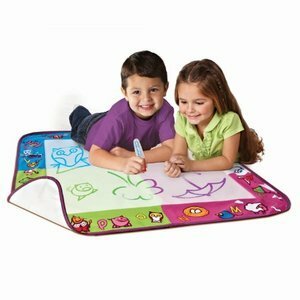 With the Aquadoodle Mat and Pen, you’re little one is in for lots of mess-free doodling fun. All you need is water and you’re good to go. The pen has four amazing colors (red, blue, green, and purple) and has a soft fabric boarder which keeps your surfaces squeaky clean. And the drawing even disappears once the water dries up. Talk about an easily manageable toy! Review: The great thing about LEGO and toys blocks are that they provide endless entertainment to your child. They can even exercise both his creativity and building skills. But do they hurt when you accidentally step on them! Well, this little activity table lessens the risk of that happening. It has a storage in the middle that can house all your toy blocks. And it even has a surface that keeps your kid’s blocks in place. No more wandering LEGO for you. This toy is very sturdy and easy to clean (thank goodness!). 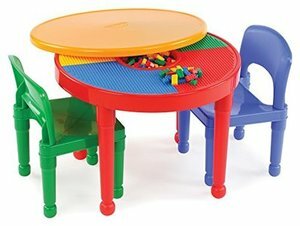 It even comes with two chairs so your kid can have a friend over to play. Review: I hope you don’t mind a noisy household because once your kid starts banging, he’ll keep it up for quite a while. Trust me on this. But, it’s totally worth it! 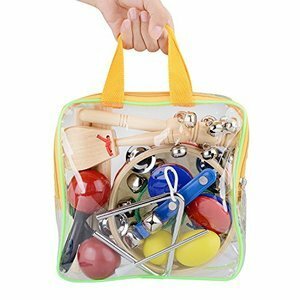 If you want to encourage your kids love for music, this musical instrument kit is perfect. There are a lot of instruments he can try, and each produces different kinds of sounds. When you’re on the go, you can keep all his new instruments in a perfectly-sized zippered carrying case. Simple but fun, musical instruments are always a classic hit! Review: Little girls are not the only ones interested in cooking and whatnot. 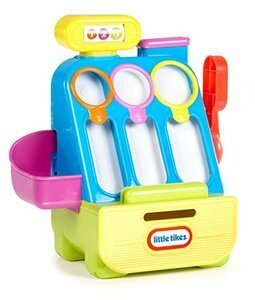 Let your little boy discover the wonders of cooling with this amazing food set. 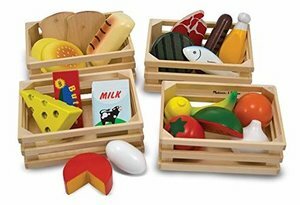 Highly durable, eco-friendly, and educational, this set features five food groups to a healthy diet. Not only can your kid pretend play, but you can also use this to teach him the basics to healthy eating. Plus, this can just be the start of a whole set of other toys. You can even gift him with utensils to really make him feel like a word-class chef! Review: Money, money, money. 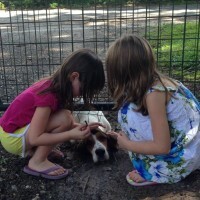 Even little kids need to know the value of having money, and why money can be important. So why not introduce him to money with this awesome play register? 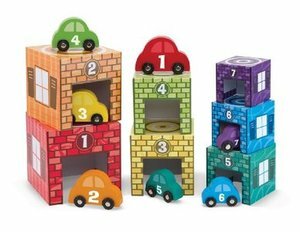 You can practice counting, recognizing colors, and even learning sized with this drop-down type of game. Just get the coins and place them on the corresponding chutes! It also helps with his fine-motor skills since he needs to slide the credit card, pull handles, and pick up coins. Really, this is a fun way to go about teaching money for sure! Review: Boys will always love their cars. It’s a classic that I can’t see dying down soon. So make the most out of his obsession and turn into an educational game! 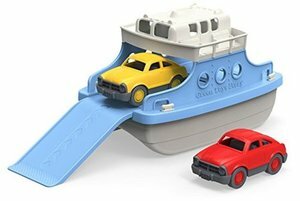 This car and garage set can be played in so many different ways. You can pair everything by color, by size, and or even by number. You choose! Plus, they can even stack up the garages and make multi-level parking spaces. Think about the many skills you can develop: his imagination, his counting skills, his visual skills, and even his hand-eye coordination. It doesn’t hurt that the set looks fantastic as well! Review: Your two-year-old might already have a friend (or a sibling) so what better way to keep them both happy than to give them a place they can call their own? 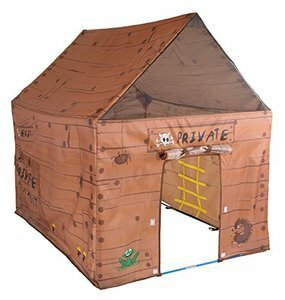 This little Clubhouse play tent is the perfect hangout for little kids. It looks like a wooden playhouse and even has windows. They can also play through the tunnel port. It’s a great way to encourage your child’s imagination and strengthen his social skills as well. Plus, it’ll give him a space he could call his own. He can keep most of his toys in there as well. (And mommy can have little bit of peace sometimes, shh). Review: Bath time doesn’t need to feel like it’s a chore. You can always keep it interesting and fun so you won’t get a temper tantrum in the middle of one and get splashed! This ferry boat provides excellent distraction while your baby takes a bath. He can exercise his imagination and think that he’s out at sea or he needs to rescue the drowning cars. Whichever story he chooses, you’re safe from getting thoroughly wet as long as he keeps playing. What’s more amazing about this toy is that it’s made from 100% recycled plastic so you’re even helping out the environment! 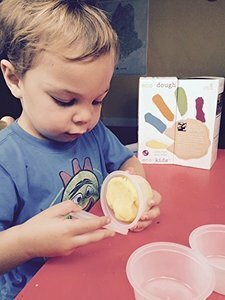 Review: Another environment-friendly toy you can check out is this Eco Dough. Aside from your baby boy’s imagination, you’ll also be encouraging his creativity with this awesome toy. This set comes with 6 different colors and 14 different kinds of clay tool set. It’s made with natural ingredients so you know it’s safe for your kid’s use. He can build characters, create play food, make a story, or simply show off his artistic skills with this awesomely versatile set. Review: I know for a fact that little boys love professions with uniforms. 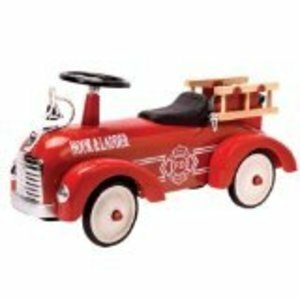 Whether that be a police officer or a fireman, chances are, you’re kid likes one or both of them. So what’s a better gift than his very own fire truck? Your little boy is growing up so fast. He’s learning new things every day. 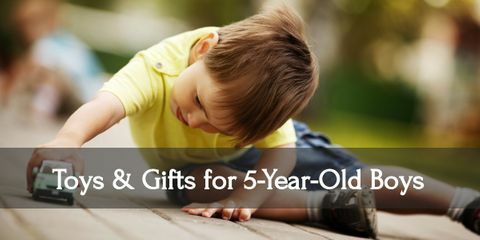 It’s a great idea to keep encouraging his curiosity through giving him gifts that both provide entertainment and new skills. That way, you know your little guy is still having the time of his life while learning the things he needs to know!